The City of Winder, Georgia, is located 40 miles from Atlanta on the historic railroad link to Athens. It was selected in 2009 as the first community in Barrow County to be the recipient of a Livable Centers Initiative Study grant. TSW was selected to lead the effort to develop a comprehensive vision for more than 600 acres of the core of Winder. 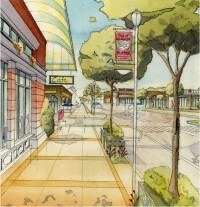 The vision encompasses the downtown area and historic homes as well as a declining commercial strip and undeveloped land. The inclusive planning process brought residents, business owners, and other stakeholders together at a number of public meetings, including a community workshop. Ideas generated at the workshop formed the basis for the recommendations of the study. Vacant or underutilized land dominates much of Winder’s main commercial strip, as well as portions of downtown. The study puts forth a vision for the potential redevelopment of theses areas into a more walkable, dense, and historically compatible form—one that would make the city more sustainable and prepare it for proposed commuter rail service. 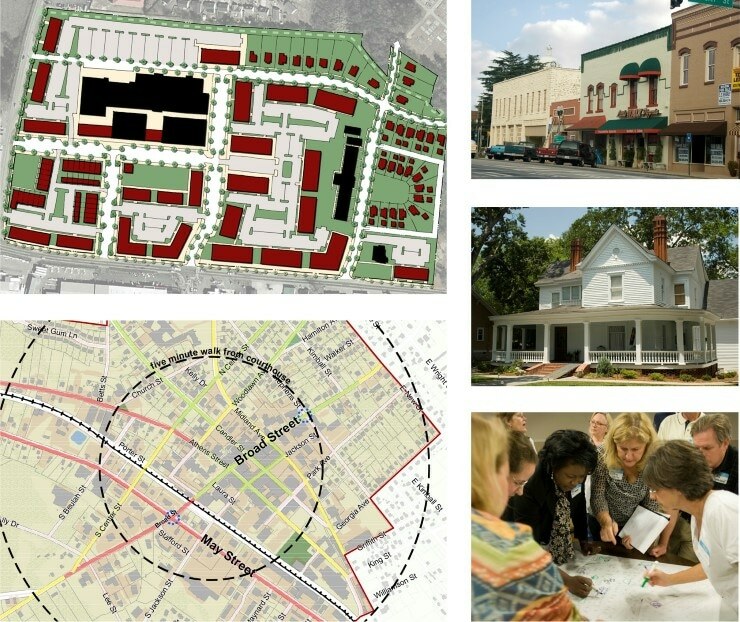 A series of recommendations have the potential to transform central Winder with improved streetscapes, new business opportunities, enhanced transportation options, expanded park space, and code amendments to promote historic preservation, improve aesthetics, and allow for more mixed uses. Implementation is a key focus of the study, which identifies specific timelines and funding sources for each public improvement, several of which are already being pursued.